A positive end to last week after a somewhat uncertain start as some gains made were eroded. Rates recovered later for West Australia/China, nudging the high $8.00s with rumours of $9.00 for prompt positions. In addition, there was finally action from Brazil, with a few cargoes fixed for China as the week closed out with some early ships covered in the mid-high $16.00s and $17.25 paid for early January. Brokers said there were fewer ships in ballast. Atlantic trading also perked up, with fresh business increasingly evident and rates beginning to move, with the odd weaker rate appearing. On the key Puerto Bolivar/Rotterdam run there were reports that charterers were now bidding in the low-mid $9.00s, but so far unfixed. A Narvik/El Dekheila cargo allegedly went at $7.90 and was said to show a timecharter equivalent of over $20,000. Much of the fronthaul fixed was largely breaching business from St. Lawrence, and on voyage, but rates were assessed around $30,000 daily. A very flat week for the indices with rates mostly hovering at the same levels, however, news of fresh concluded sales into China boosted sentiment greatly, with much more period activity evident as a result. A Panamax open South China early January covered for a year at $12,000. Multiple short period trades were also reported. The Pacific continued to be propped up by impressive Indonesian volume. The news of thirty cargoes sold from the NoPac to China, was coupled with improving rates in the North, with Kamsarmaxes fixing at $11,000 or more for round voyages again. South American trades for December slowed, as most stems have been covered now. However, rates remained steady, to slightly better, at around $15,750 plus $575,000 ballast bonus for Kamsarmaxes. In the North, period interest helped increase demand and spot rates saw a slight improvement at the end of the week. It was a more positive week than of late for the Baltic Supramax Index (BSI). The Index showed some strong gains, with China buying US soybeans helping to support the market. Period activity remained across both basins. A 66,000dwt open Indian Ocean fixing at around $14,000 for four to six months trading. As the week came to a close a more positive sentiment appeared across some areas; The US Gulf showing improved activity. Brokers suggested this was due to increased enquiry from East Coast South America. A 60,000dwt was rumoured fixed from the Gulf for a trip to the Continent in the upper $17,000s. 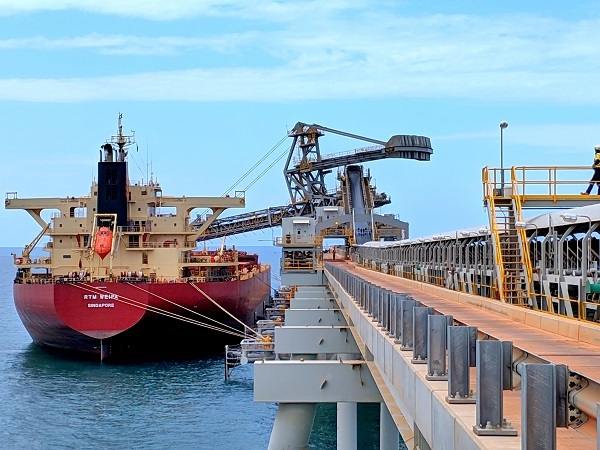 The Asian market made gains, with better flows for NoPac and Australian cargoes. A 63,000 tonner fixed delivery Surabaya trip, via West Australia, redelivery China at $13,500. There was stronger demand from SouthEast Asia, with more coal being shipped. A 63,000dwt vessel was booked delivery Gresik trip, via Indonesia, redelivery CJK in the low $14,000s. The overall Baltic Handysize Index (BHSI) recorded a similar level as it achieved in December 2017. Rates from East Coast South America improved, but negative sentiment from the US Gulf market became more evident last week with limited cargoes. The Pacific market was again less active as Christmas approached. On the period front, a 37,000dwt vessel open North Coast South America went for four to six months at $12,000, with redelivery within the Atlantic. A 32,000dwt open Canakkale fixed for a trip to the Spanish Mediterranean at $13,750, while another 34,000dwt open Otranto did a similar run at $12,500. A 37,000dwt was booked for woodpellets from US East Coast to the Continent at $14,000 in mid-week, and later, a 38,000 tonner went for a similar trip in the mid $12,000s. A 32,000dwt open Singapore went for a trip via Indonesia to Thailand early last week in the East. A 38,000dwt in Vietnam fixed via Indonesia to China at the same rate.